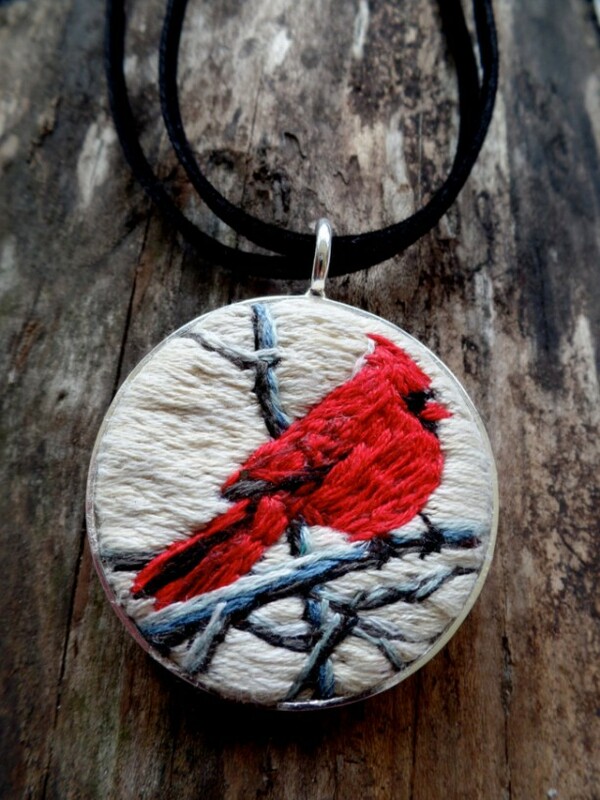 A bright red Cardinal rests on a branch heavy with snow. 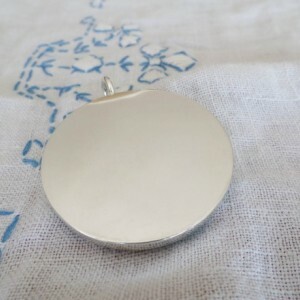 Imagine how it will brighten up the dreariest day when it's worn around your neck! 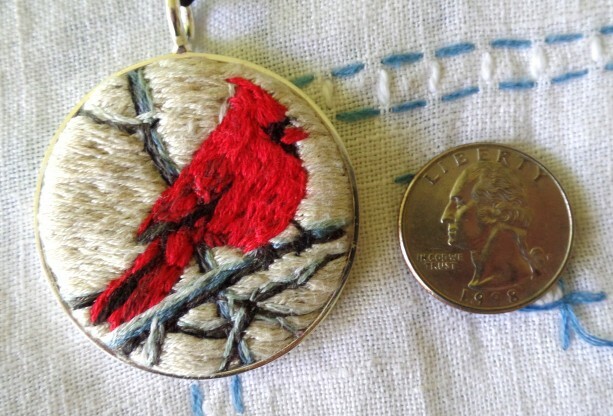 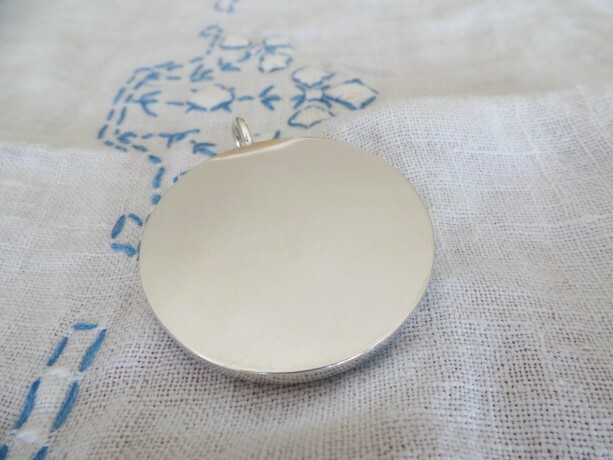 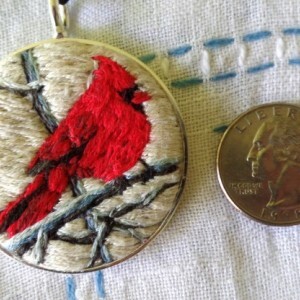 This detailed piece of art is completely hand embroidered and set into a 43mm silver bezel. 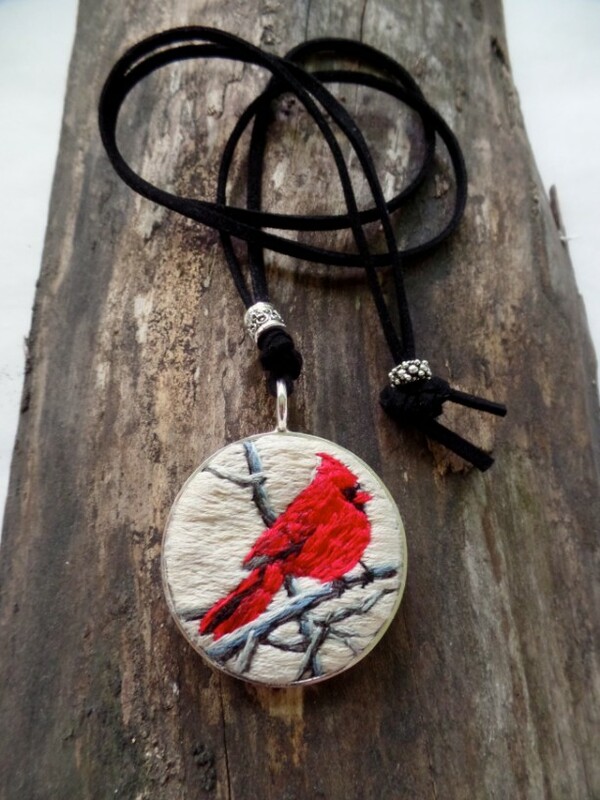 It hangs from 2 layers of suede cord finished with silver wire and accented by an adjustable charm. 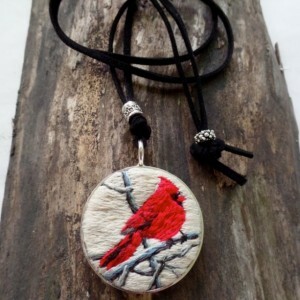 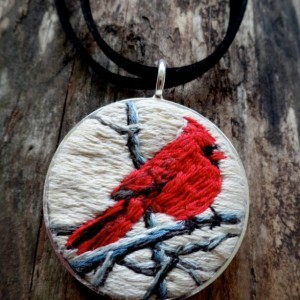 For bird and nature lovers or simply for a pop of gorgeous red.